Three separate stories this morning come together into a strand illustrating 2018’s status as a continued landgrab for new music-streaming subscribers. YouTube is finally readying a global push for its YouTube Red tier; Apple Music is launching its student membership plan much more widely across the world; and Spotify is offering lovebirds a Valentine’s-themed two-month free trial of its Premium tier. It was interesting how Wojcicki described the subscription tier too. “YouTube Red is a service that is really a music service: we have an amazing collection of music, we have all these music videos, and then on top of that it has the ability to watch all of YouTube ad-free, with the background and offline services. And then on top of that we have the YouTube Originals.” Music remains the core. Apple Music, meanwhile, is expanding its student membership: the $4.99-a-month option that debuted in the UK will launch in 82 additional countries this month, starting with 79 this week – among them Israel, Malaysia, the Philippines, Poland, Portugal and Taiwan according to 9 to 5 Mac. 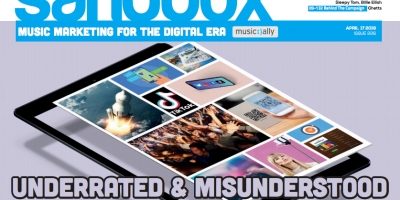 It’s the latest reminder that despite periodic calls within the music/tech world for ‘more mid-priced subscriptions’, we do already have them in the form of student and family plans. It’s also a reminder of Apple Music’s global scale: rival Spotify is available in 61 countries as a comparison. But talking of Spotify: it has launched its latest premium-trial offer, encouraging its free users to “cozy up with free premium: Lose the ads this Valentine’s Day. Get 60 days of Premium for free”. It’s only available to users who’ve not tried Spotify’s premium tier before, and will revert to a $/£/€9.99-a-month subscription after the 60 days. Offers like this are another form of expansion: not global, but trying to convert more free listeners to paying subscribers in western markets which are still not close to reaching a saturation point as the various music-streaming services compete. An added benefit, of course, is a potential boost to subscriber numbers around the time Spotify debuts as a public company.